Bede is an artist with a long time interest in history and theology. 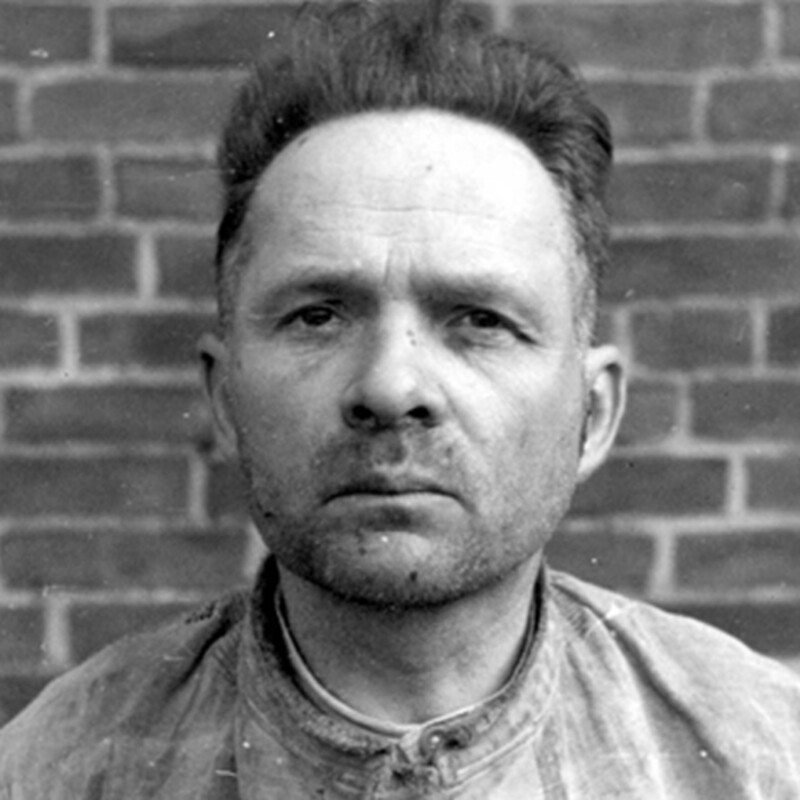 Rudolf Höss sat in darkness on his prison-cell bed, recalling the day’s events. In the Warsaw courtroom, he acknowledged his crimes frankly and without apparent emotion. As Commandant of Auschwitz from 1940-43, he was personally responsible for putting to death over two and half million people. Another half million died from starvation or disease during his tenure. Now it was his turn to die on the gallows and the thought had no real affect him. Two weeks before his execution, a change would transpire in his soul. A crevice opened whereby he perceived the true reality of his crime. From apathy, his sentiments changed into an ocean of sorrow. 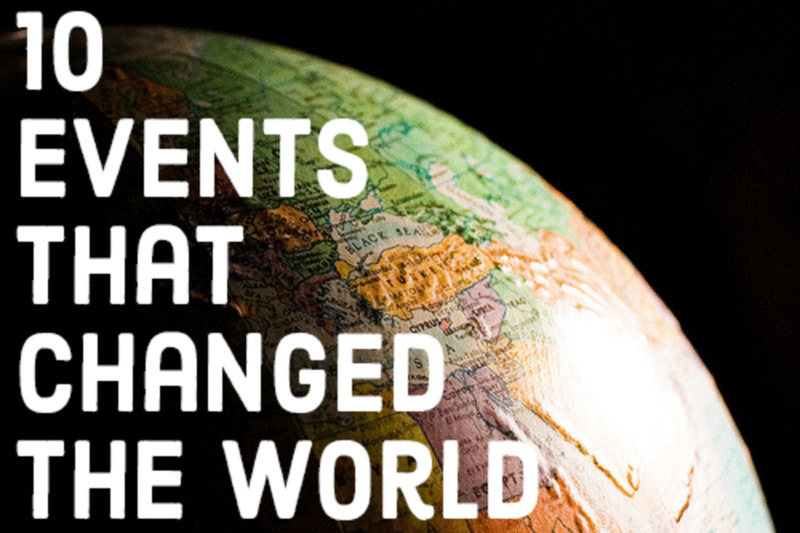 What brought about the change? Could the mercy of God embrace even the Commandant of Auschwitz? Höss was born in 1900 in Baden-Baden, Germany, the eldest of three children. Due to few playmates as a young child, he developed an intense love for animals and nature. His parents were devout Catholics who hoped that Rudolf would be a priest someday. Strict discipline, piety, love of the fatherland, obedience, and duty were virtues that his father continually instilled into the boy. Rudolf himself was devout and seriously considered the priesthood until his thirteenth year. It was then that an unfortunate incident occurred that shook his beliefs to the core. During a playful scuffle at school, he unintentionally pushed a classmate down the stairs. The boy came away with a broken ankle. Rudolf was sorry for his deed and soon went to confession to a priest. Political circumstances unfortunately changed his life altogether. World War I broke out when he was fourteen years old. After begging his mother, he joined the Red Cross as a nurse. The battle lore of wounded soldiers filled his heart with valor. In due course, he worked his way up in the army. The thrill of battle and comradeship were exactly as he envisioned. Although a victim of malaria and wounded three times, Rudolf garnered much respect for his bravery and leadership abilities. By seventeen, he was the youngest sergeant in the army and came home with a plethora of medals. His father died before the War and his mother died in 1917. Alas, Rudolf returned home a hard-edged man and no longer an innocent boy. Introduction to military life at such a young age undoubtedly affected Höss. He completed his secondary education after Germany surrendered. When he discovered that his relatives divvied up his inheritance while he was away, he rebelled. 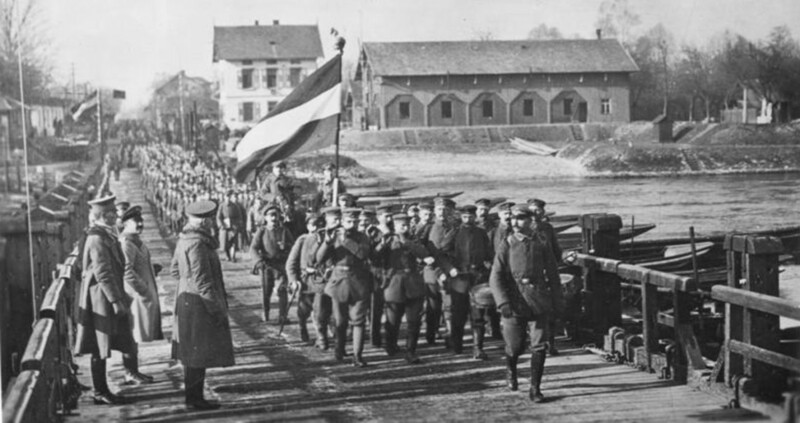 He joined one of the private militia sprouting up in Germany at this time, the Freikorps Rossbach. The battles he experienced against Polish and French insurgents "were more brutal and vicious than anything I had experienced before." 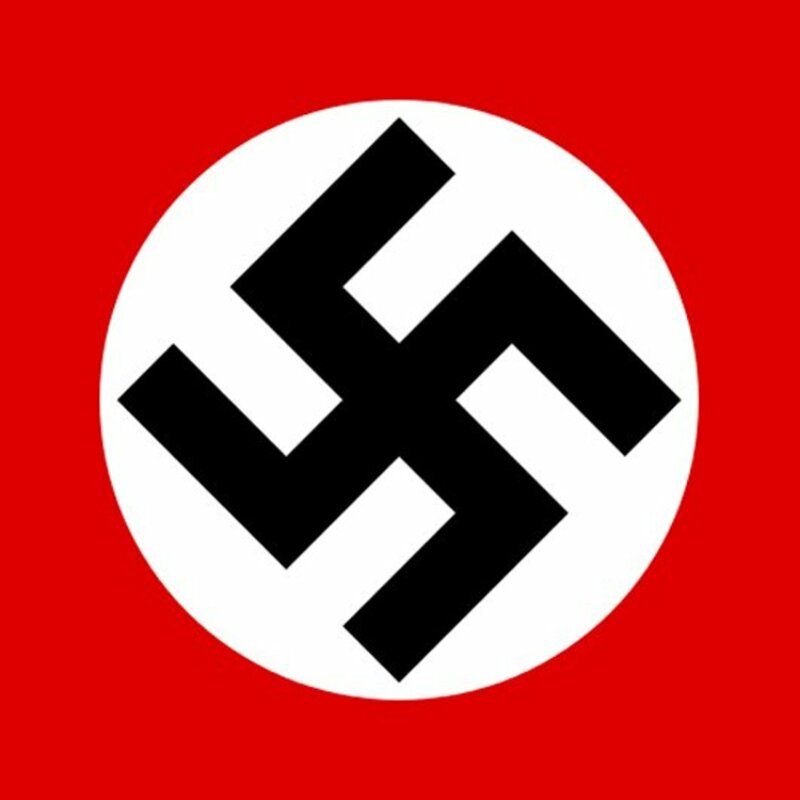 He joined the Nazi Party after he heard a speech by Adolf Hitler in 1922. Due to complicity in the murder of an alleged traitor by members of the Freikorps, he received a ten-year prison sentence. According to his memoirs, he did not kill the man but accepted the blame. After serving six years, he gained his freedom through the Amnesty Act of 1928. With the mental anguish of war and prison life behind him, he set his eyes on a simple, agrarian lifestyle. To this end, he joined the Artaman League, an association of young people who sought a farm-based way of life. Here, he met Hedwig Hensel who shared his ideals. They married in 1929 and lived as farmers for the next five years. In time, they had five children. Heinrich Himmler, a fellow Artaman League and Nazi Party member, declared a call-for-action in 1934 and invited Rudolf to reenlist. Rudolf didn’t care to depart from farm-life but ardent love for the fatherland changed his mind. With memories of comradeship, he reenlisted. His hopes of soldiering soon vanished, however. 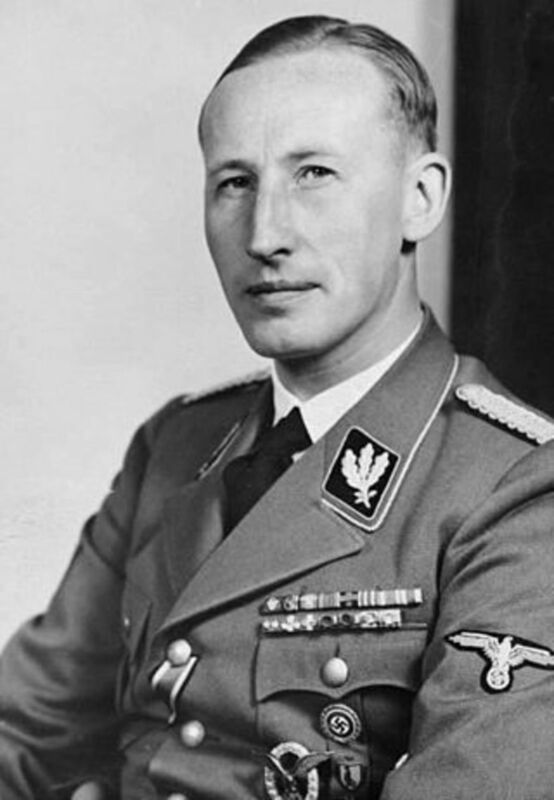 The Nazi authorities saw him as particularly well suited for concentration camp administration. They sent him to Dachau in December of 1934. Within months, Rudolf wanted out of concentration camp life and made his request known to Theodor Eicke, the camp commandant. Eicke told him he was eminently suited for the post (as a former prisoner) and was not changing his mind. According to his memoirs, Höss felt trapped, with no hope of turning back. In time, Eicke trained him to not show the least sign of weakness at the sight of corporal punishments and executions. These events always repelled Höss, but he learned to appear unaffected. He eventually became the longest-serving commandant in Nazi concentration camp history. His ability to run an efficient operation brought about frequent promotions. From Dachau, he went to Sachsenhausen in 1938 and eventually to Auschwitz, where he became commandant in May of 1940. In 1941, Himmler summoned him to Berlin and revealed the Final Solution, which aimed to destroy the Jewish people. 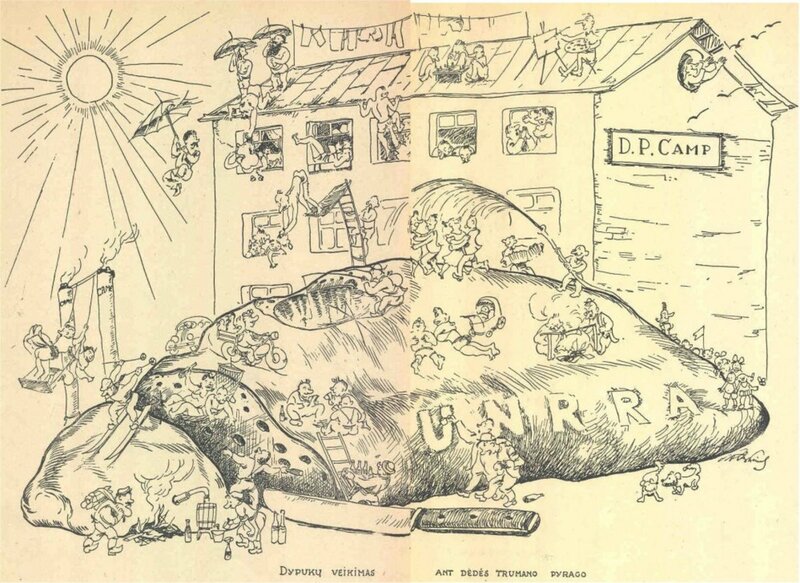 From September 1941, Auschwitz thus transitioned into an extermination camp. 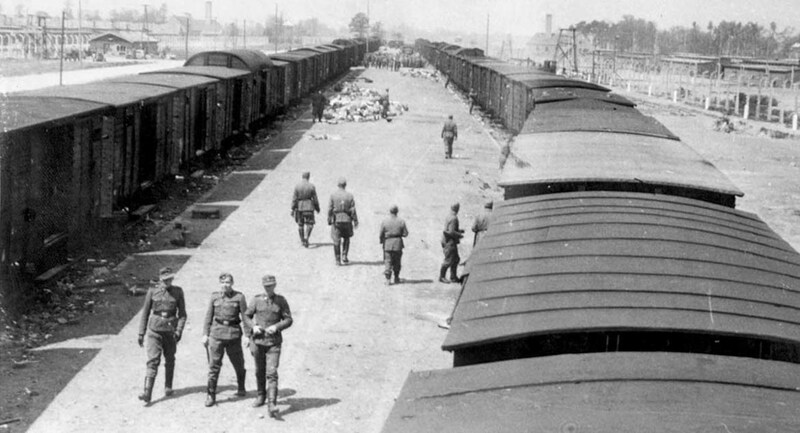 According to his memoirs, Höss’ entire preoccupation was the expansion of the camp as instructed by superiors. He left camp discipline to subordinates, whose brutality he despised but felt impossible to control. Having served time for six years, he understood prisoner psychology. He sought, for instance, to introduce better measures of cleanliness and diet, but was continually frustrated in his attempts. When voicing his complaints to Himmler on a camp tour, he met with pure coldness. Nonetheless, Höss was a criminal of the first order. How could he peaceably carry out the Final Solution? 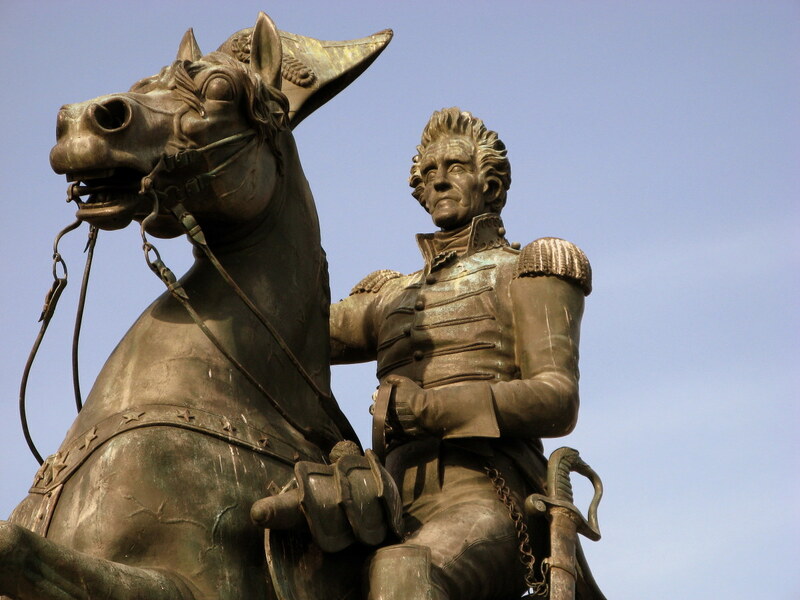 Why didn’t he escape with his family rather than oversee such monumental carnage? Would not execution be better than such shameful complicity? 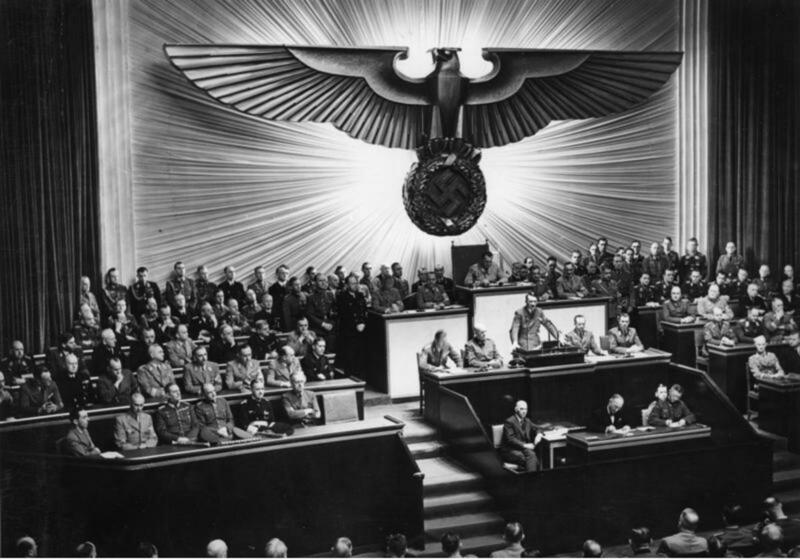 While he felt all along that "something was not right,” his loyalty to the German nation darkened his mind until he embraced Nazi ideology as the best option. A seemingly small event took place in 1940 that had colossal repercussions later for Höss. That year, the Gestapo arrested the Krakòw Jesuits and sent them to Auschwitz. The Jesuit superior, Władysław Lohn, was absent at the time. When he discovered the deportation of his brethren, he traveled to Auschwitz and snuck into the camp to find them. The guards soon captured him and brought him before the Commandant. Fr. Lohn’s audacity impressed Höss, who allowed the priest to depart unharmed. 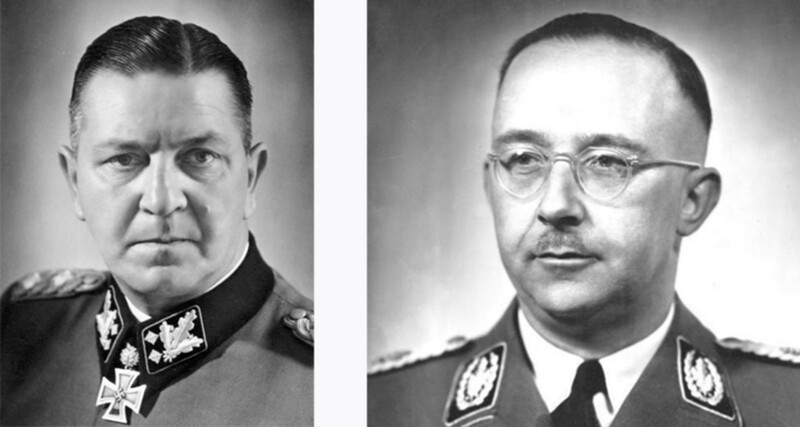 In the waning months of the War, Himmler advised Höss to hide among the German Navy personnel. He escaped arrest for eight months, disguised as a farmhand named Franz Lang. A British captain of Jewish descent captured him on March 11, 1946. According to Höss, the British beat him while in their custody to obtain information. In April of that year, He gave detailed testimony at the Nuremberg Trials. 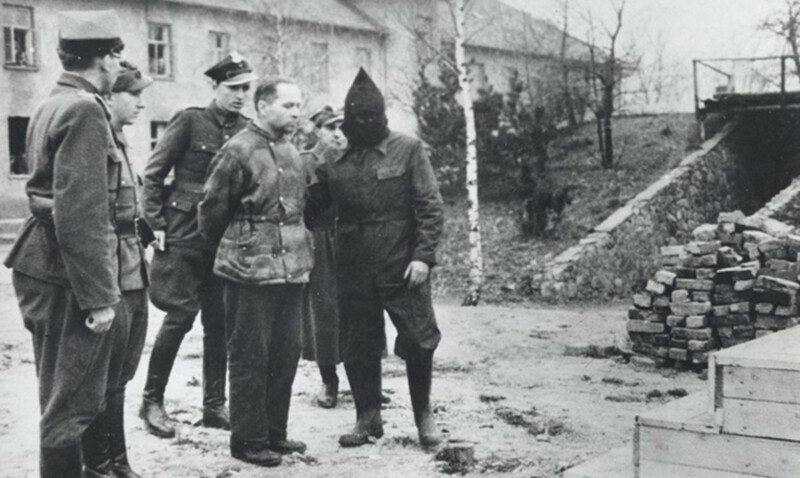 As his crimes transpired in Poland, the British handed him over to their authorities on May 25, 1946. The Polish asked him to write his memoirs until his trial, which occurred in March of 1947. The Polish Tribunal in Warsaw found him guilty and sent him on April 2 to Wadowice, Poland, to await his execution. In a strange irony, Wadowice is the birthplace of Karol Wojtyła, the future Pope St. John Paul II, one of history's great defenders of human dignity. 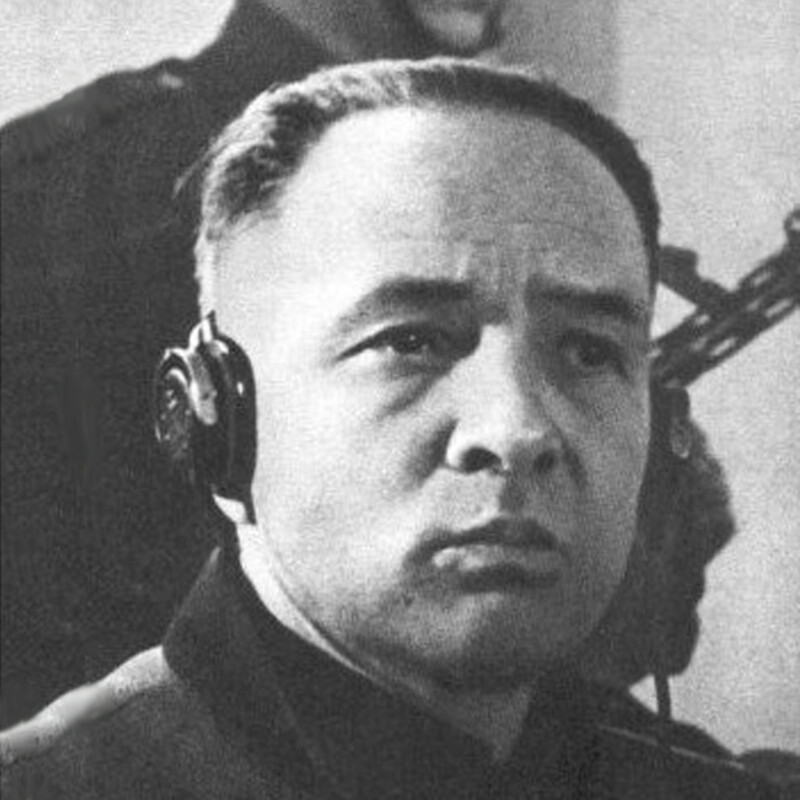 Höss feared not death but torture, which he felt certain to receive at the hands of his Polish captors. After all, Auschwitz was in Poland. He was wholly confounded when he met with kindness instead. "I have to confess that I never would have expected to be treated so decently and so kindly in a Polish prison.” The fact that several of the guards showed him their tattoos from Auschwitz further put him to shame. If persons whom he had caused such suffering could forgive him, then perhaps God could forgive him as well. A light opened in his mind; apathy evolved into deep-seated repentance and trust in God. It is significant that he recognized the true gravity of his crimes through the kindness of the Polish guards. His soul responded to a ray of love. Nazi ideology taught him that Poles were sub-human. Now he understood them as beautiful persons whom he caused to suffer terribly. In the solitude of my prison cell, I have come to the bitter recognition that I have sinned gravely against humanity…I caused unspeakable suffering for the Polish people in particular. I am to pay for this with my life. May the Lord God forgive one day what I have done. I ask the Polish people for forgiveness. By all appearances, Höss’ repentance was sincere. On April 4, 1947, which was Good Friday that year, he asked that a priest might hear his confession. After several days of searching, the guards could unfortunately find no priest who knew enough German. Höss then recalled Fr. Władysław Lohn, the Jesuit whom he saved from death. This priest spoke fluent German. He wrote his name out and gave it to the guards. They found Fr. Władysław in Lagiewniki, Poland, where he was then serving as chaplain at the Shrine of Divine Mercy. This fact is momentous, as will be seen. Fr. Władysław heard Höss’ confession on the Thursday of Easter week, which understandably took a long time. The next day, he gave him Holy Communion and Viaticum. 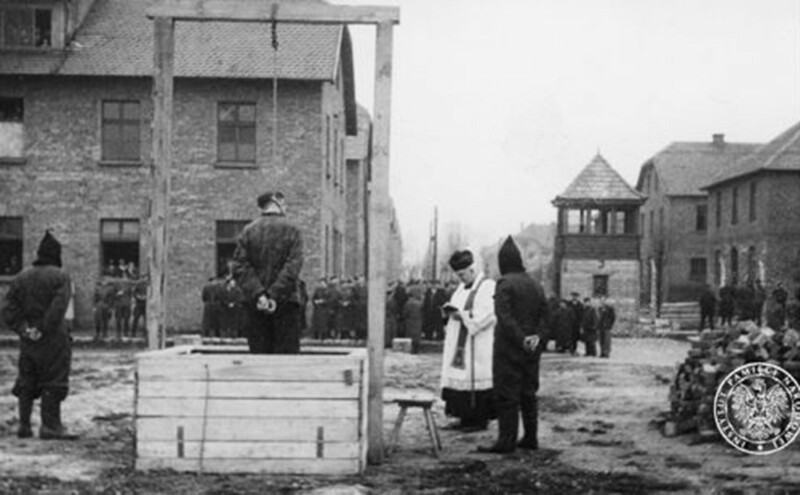 According to the guards, Höss appeared as a small boy as he received Holy Communion, kneeling and weeping in his prison cell. The former SS Commandant, trained to conceal every sign of weakness, openly wept in front of others. As mentioned, Fr. Władysław Lohn worked at the Shrine of Divine Mercy as a chaplain. This shrine had humble beginnings through the revelations that Jesus gave to a Polish nun, Sr. Faustina Kowalska. She belonged to the Sisters of Our Lady of Mercy from1925 until her death in 1938, aged 33. Sr. Faustina wrote down Jesus’ various messages; essentially, they reveal that God is ineffably merciful, but humankind must turn with trust in order to receive it. Without trust, mercy does not penetrate the human heart. 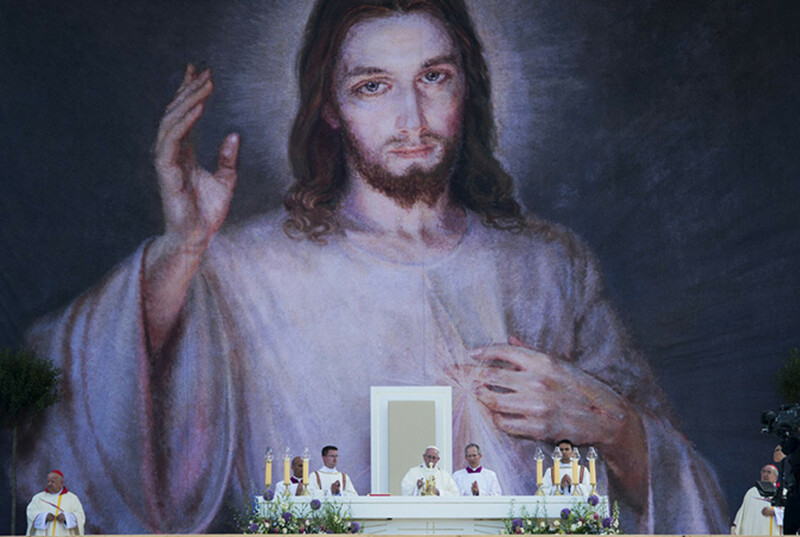 Jesus instructed her to have an image painted with rays streaming from His breast, and likewise to establish a ‘Feast of Mercy,’ on the Sunday after Easter when He would pour out mercy in a special manner. In our times, the Feast of Divine Mercy after Easter is a major event, Sr. Faustina is a canonized saint, and the Shrine where Fr. Władysław Lohn worked receives three million visitors a year. Pope St. John Paul II described the shrine as "the capital of the Divine Mercy devotion.” Conversely, Rudolf Höss described Auschwitz as "the largest killing center in all of history." 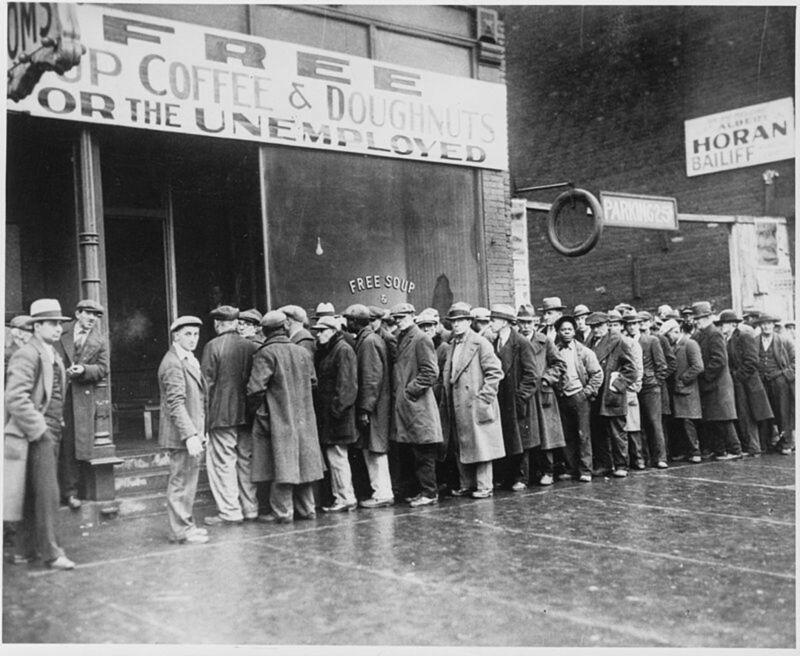 It is one of history’s great ironies that he who led the center of death should seek help from the capital of mercy. Rudolf Höss’ conversion is quite unknown. What key lessons does his story provide? In the first place, the conscience can’t be boxed without consequences and secondly, let no one ever despair of God's mercy. Höss would be forever a scoundrel if it were not for one fact alone: he opened his heart to the mercy of God. Unlike most of his colleagues, he owned up to his crimes. Thank you, Linda, for commenting and bringing up some good points. I agree - it is a terrible pity that Hoss didn’t have his change of heart earlier. Whether it would have reduced the number of victims is unknown, as another commandant could have accomplished the same task. But, if he understood the gravity of the situation earlier, he could have perhaps used his influence to awaken the consciences of the leaders. I’m of the school that believes that God can bring good from evil. As St. Paul says, “We know that God works all things together for good.” It’s difficult, though, if not impossible to understand this on this side of eternity. This is a very interesting article, Bede. Thank you for sharing the information. I think it's a huge shame that Hoss didn't have his change of heart earlier in his life before so many people were harmed. Maybe his confession shortly before his death helped him to die in relative peace, but it didn't help the people at Auschwitz. Thank you very much for the comment, Eric. I agree - there are some rather crazy facets of the story. Take, for instance, how the commandant lived with his family in a palatial villa only 200 hundred yards from the camp; some of the prisoners were servants, etc. At the same time, he had the running thought, “something’s not right.” No, really?! In reading his autobiography, it’s one of those cases of a frog warming in a pot of water. Anyway, the bigger picture is that God is able to straighten out these monumental mistakes. That’s my belief, anyway. I’ve never been to Auschwitz but the sheer size of it from aerial photos is impressive. Very interesting and very well written. I must admit reading it gave me the heebie jeebies. So many put God in a box by saying "you must do this and you must do that". Clearly you relate that this is not the case. Yet in the end we must accept God. A visit to Auschwitz in '72 changed my life, at least a bit. Hell was palatable. I still have a sense of the smell. Hi Frances. First, I thank you for the thoughtful comment. I can fully understand where you’re coming from, to the effect: “You mean his monster got off scot-free?” It seems that such an essential cog in the Nazi war machine should be jabbed with hot pokers for eternity. While I believe that God’s mercy is greater than Hoss’ crime, and therefore able to forgive, He is also just. Hoss may have to face purification until the end of time, but in the end will come clean. To me, this is a consolation and perhaps will hearten persons who feel their sins are too black for God to forgive. Thanks for the mention of Ratline/Otto Wachter. I’ll check into it. World War II history is very disturbing and fascinating at the same time. There’s hardly been a time in history with such strong contrasts – good an evil dueling it out. There are also perennial lessons we can learn. Hello Bede. Your articles are always fascinating to read. And while I read about his confession, as a non believer it cuts no ice. I such a high position surely he would have had access to the means of escape - no-one at checkpoints would have questioned his right to travel and then escape over the border? No doubt you must have similar thoughts. As it happens I am currently listening to a podcast called the Ratline about a man's quest to find out about Otto Wachter who was head of administration in Krakow and almost certainly presided over the extermination of the internees of the camp there, including his own grandfather. It's like a thriller, with all manner of twists and turns, very sad, of course, a great eye opener, and immensely disturbing at what one faction of humanity can do to another. I think you would be interested to hear it. It's on BBC Radio 4 and called 'The Ratline'.